My favourite style of shearling jacket, or in this case faux shearling, is definitely this “aviator” style, which people currently seem to be obsessed with. I actually got this “It” jacket last year at Portobello Market for just £30. Anyone living in London will know that Portobello market is the destination for cheap, high quality jackets. 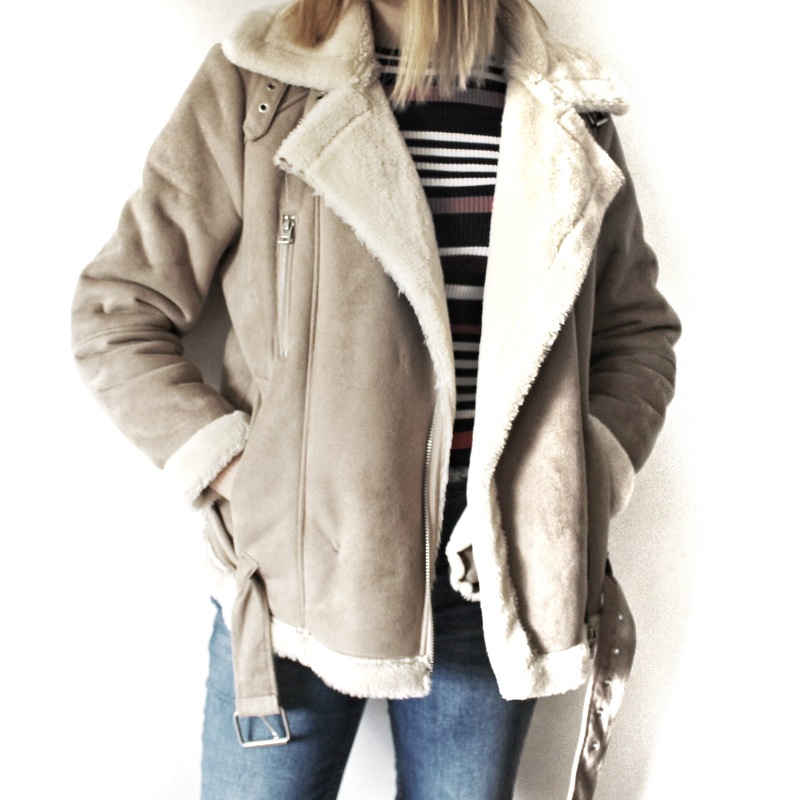 I actually know someone who got a real shearling one there a few years ago for just £10! The jacket in the picture was actually originally from Topshop, so i would have probably had to pay like £80 for it originally. I’m literally seeing this jacket everrrrywhere. Hope you liked this edit – let me know what you think of this season’s “It” Jacket in the comments!